Let it be said plainly and simply so that future historians are left in no doubt. The summer of 2012, my first summer on the Peninsula, was a complete washout. It rained, and rained, and then when the sun came out from behind the rain clouds for what seemed like a full ten minutes, it rained again. Don’t get me wrong; I have no regrets. My summer was filled with other delights, one of which, once again, proved that the people on the Peninsula are, without a doubt, a very creative bunch. Growing up, we’re told never to judge a book by its cover because you never know what’s inside. Well, our postman, here in Kilcrohane is leading a double life. You know, of course, of our resident world-renowned artist, Alex Chamberlain who lives just outside the village. 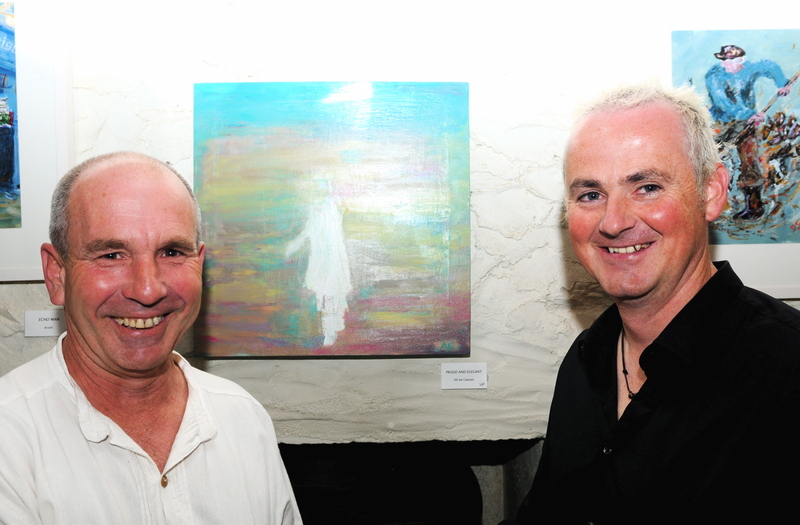 Back in November 2011 (wow, it’s almost a year since we first came to Kilcrohane) as I was getting to know Alex, he mentioned that our postman Danny Smith loves to paint. While opening the door to Danny most mornings as he delivers our mail, I never considered that under the polyester gunmetal grey uniform there beats the heart of a true artist. ‘I want Danny to show his work,’ Alex had said to me back in November. I said that I would love to help, promotion wise, and perhaps I could write a piece for the newspaper. The months rolled on and, as Danny delivered the mail, I found myself wondering if we would ever get to see his work. ‘Danny is very shy about his work; I have been encouraging him to have a show, he needs to let the world see what he has done and how talented he is,’ Alex continued. High praise indeed, now I really wanted to see what our artist postman could do. 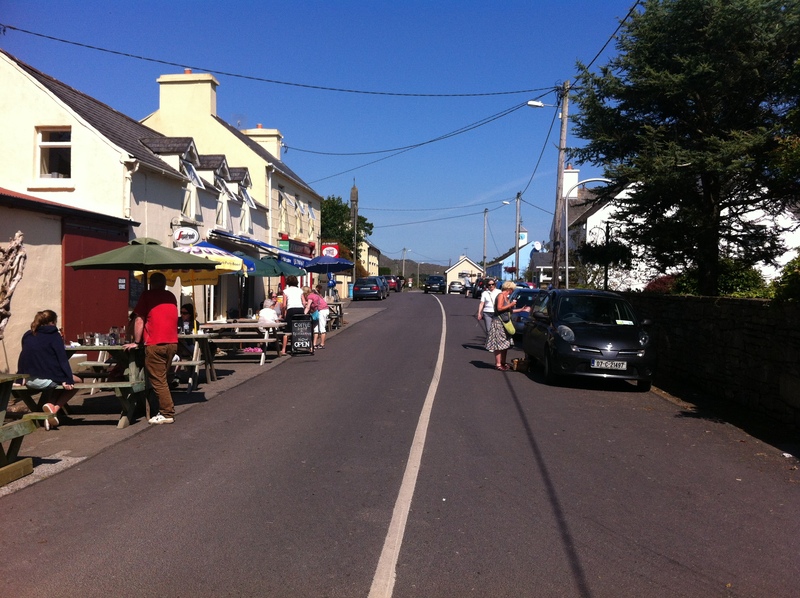 In Kilcrohane, there are two pubs, a guesthouse, a village shop/post office and a restaurant/wine bar called the Grain Store. Only opened for two months of the year, the Grain Store is within walking distance of our house and serves some of the best food and wine on the Peninsula. There will be more about the Grain Store and the wonderful Marie in another blog. 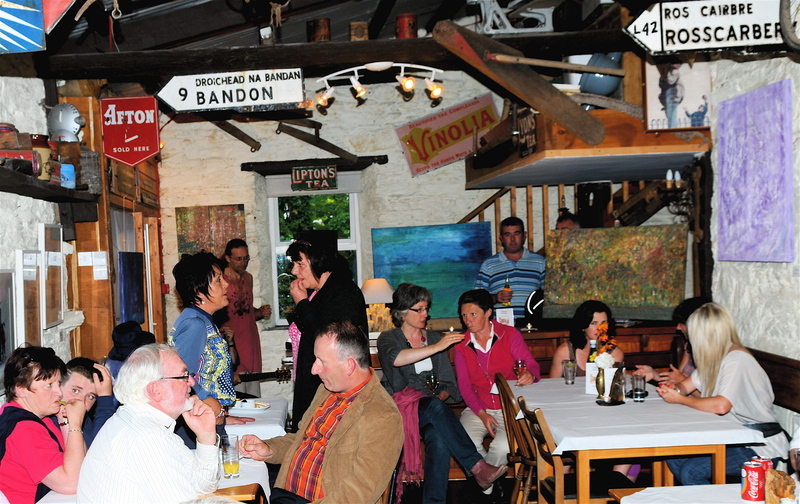 It was here, at the Grain Store, that Danny would show his work to the people of the Sheep’s Head. As Danny stood at the door of the Grain Store, no longer dressed in his polyester uniform, he looked every inch the artist. There was a large crowd already viewing his work when we arrived and, after a quick hello and a word of congratulations, we joined the queue that was filing slowing around the room. Pablo Picasso once said, ‘The purpose of art is to wash the dust of daily lives off our souls’. Well, as I took in the paintings hanging on the walls of the Grain Store on that July evening, all thoughts of bad weather, cold breezes, and never-ending rain were quickly forgotten. My soul was now dust free, thanks to Danny Smith. I’m not an art critic but I know what I like and for me Danny’s work hits all the right notes on my visual keyboard. Big bold brush strokes, lots of colour and light, Danny’s work draws you in until you see not just the subject of the painting but also movement and light. I don’t like watercolours. For me a painting should have texture and depth. I know you’re not suppose to but I love paintings that say, ‘go on touch me, feel the contours of the paint on the canvas’. I love the almost 3D effect of heavy oils and acrylics. Danny’s work makes you want to touch it, the use of colour and light almost inviting you to get closer, and the closer you get the more alive the painting seems. I know that there are people reading this who are aghast at my troglodyte efforts at describing Danny’s work but it really is that good. 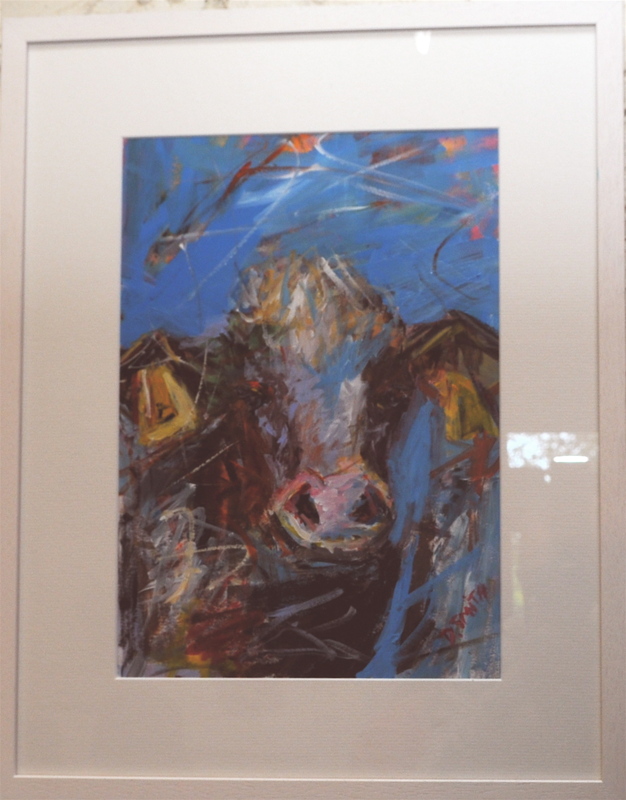 Since Danny’s first showcase at the Grain Store in Kilcrohane, I am confident that there will be more in the future and not just on the Sheep’s Head, I find myself wondering just what other talents are the people of the Peninsula hiding? I think it’s time to explore not only the food, landscape and angling prospects that the Peninsula has to offer. 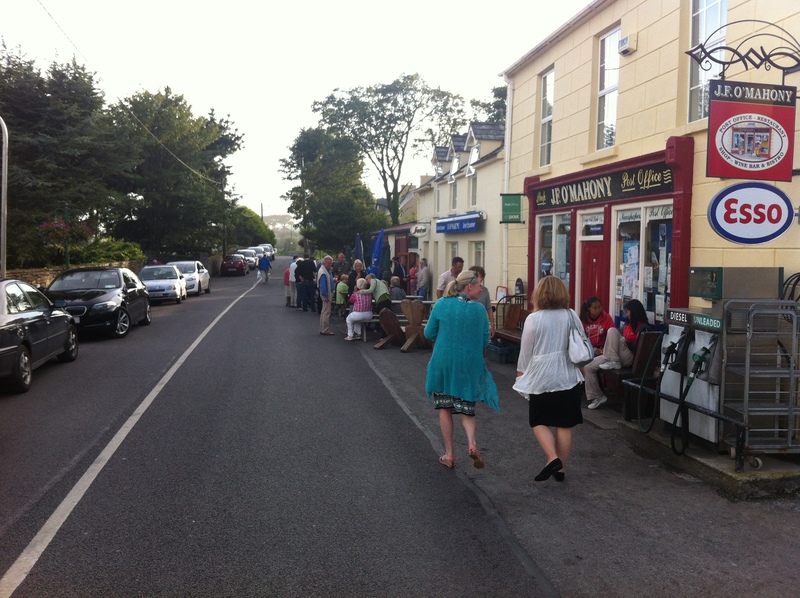 It’s time to highlight the wonderful community that is so vibrant, creative and thriving on the Sheep’s Head peninsula. 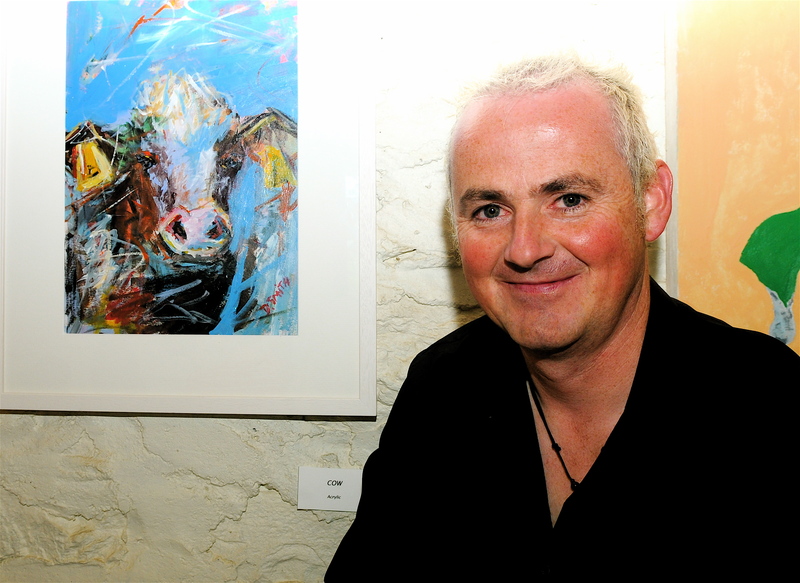 This entry was posted in Uncategorized and tagged Alex Chamberlain, Artist, arts, Blog, creative bunch, Danny Smith, Ireland, Kilcrohane, painting, postman, Sheep's Head, Summer 2012, West Cork by Brian Moore. Bookmark the permalink.